The First Foot Pool Table in Omaha! 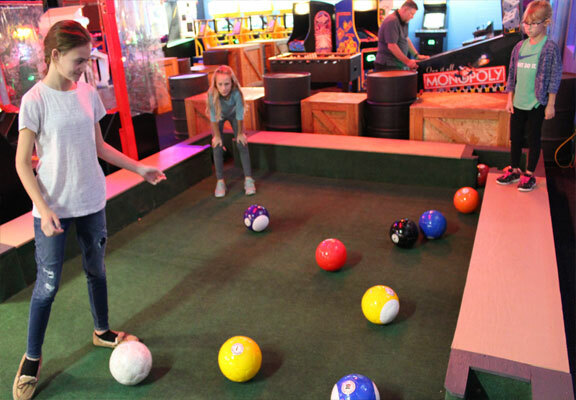 The Family Fun Center XL is very proud to announce the addition of FOOT POOL (aka SNOOKBALL) to our list of Attractions. What is Foot Pool you ask? 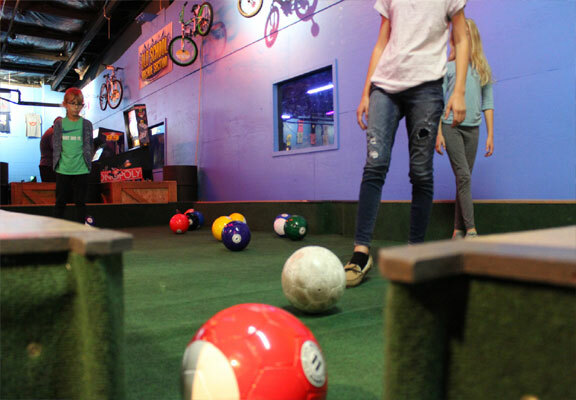 Foot Pool is the crazy smash-up between the world’s favorite sport of soccer and the fun of pool/billiards! 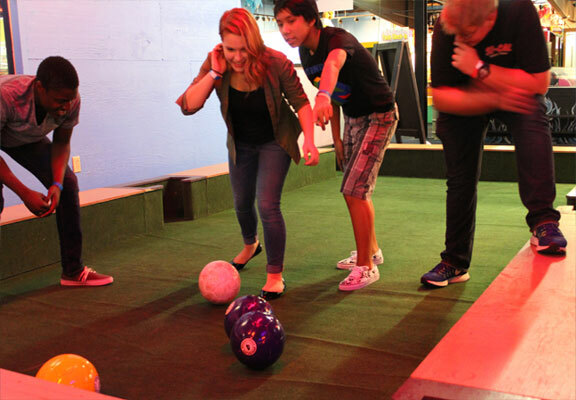 There is 1 white soccer ball that is used as the cue ball. Then there are 7 solid coloured balls numbered 1-7, 1 solid black 8 ball, and 7 striped balls numbered 9-15. 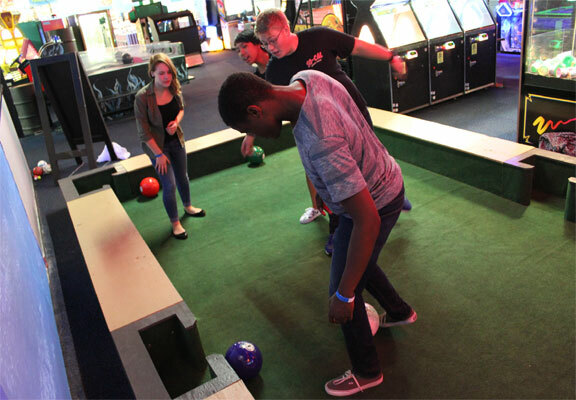 Each player takes turn kicking the white cue ball with their foot, trying to knock their colored balls into one of the 6 pockets. If you ball goes off the table you lose your turn. The first player to knock all 7 of their colour in AND then the 8-ball wins! See, it's just like pool. Foot Pool can be played by 2 players, or by 4 players in teams of 2. Foot Pool is great fun for kids, teens and adults. It is available for purchase as individual game and is included in our popular Mario/Luigi combos or Unlimited Play packages. 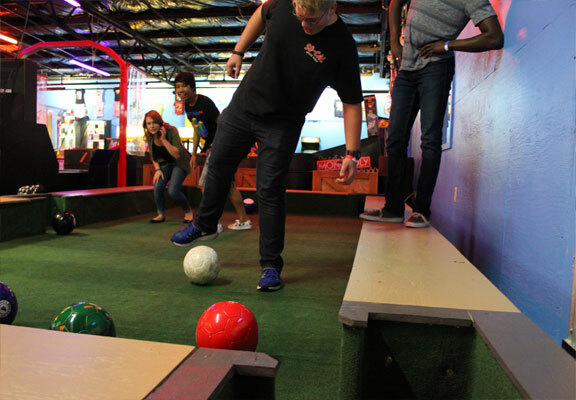 Soccer teams and soccer clubs too can come enjoy a casual game of Foot Pool to improve foot skills and build team unity.